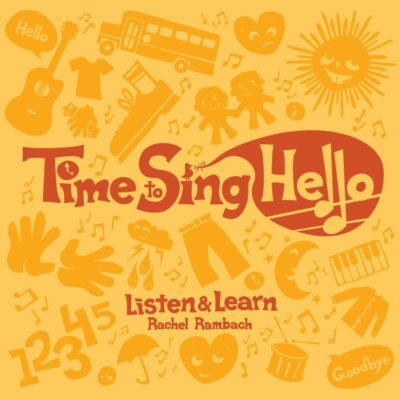 Download the lyrics, mp3 and instrumental track for “Everybody Choose An Instrument” written and recorded by Rachel Rambach, a board-certified music therapist and singer/songwriter. Taking turns and practicing patience are skills that I am constantly addressing in my groups and classes. There are opportunities to do this throughout any session, especially when it comes to choosing instruments. I decided to take this this routine task to the next level by turning it into a song. Every child has the opportunity to not only choose an instrument, but then he/she gets to play that instrument for everyone to hear. “Everybody Choose An Instrument” works especially well when you have a variety of unique instruments (think cabasa, rainstick, clatterpillar, lollipop drum, frog guiro, etc.) from which students can choose. I follow this song up with one that encourages group instrument play for a cohesive experience.